Rooftops gardens such as this are a resource for growing additional food and maximizing the available space- as urban residential land becomes increasingly narrowed. 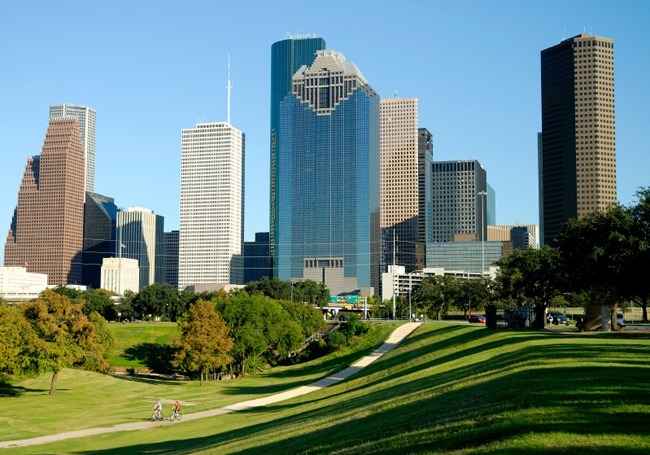 The International Ecocity Standards identifies green buildings as an essential urban design feature (www.ecocitystandards.org). Specifically, new buildings and renovations are assessed in terms of environmental sustainability and green building standards. Many historical construction methods used concepts that form part of the green building approach. 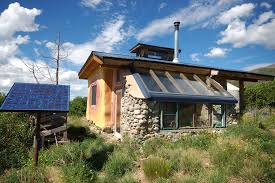 This includes using and reusing locally available building materials, designing and orienting buildings to take advantage of sunlight and shading, co-locating buildings to allow heat generated from one building to warm another or conversely to allow shade generated from one to cool another. Green building standards such as LEED (Leadership in Energy and Environmental Design), BREEAM (Building Research Establishment Environmental Assessment Method), Passivhaus, and Minergy (to name a few) help guide development of buildings that source locally appropriate materials, are energy efficient, conserve resources or even help to regenerate them. Green building standards vary in how well they perform on a variety of considerations, but the most ambitious, e.g., the Living Building Challenge, address the broadest spectrum of concerns with an emphasis on contributing a net benefit to the people who use them and the environment in which they are located (International Living Future Institute 2016). Thinking of buildings as extensions of urban infrastructure further maximizes opportunities for utility services to serve multiple functions that augment the capabilities of green buildings. For example, creating narrow, pedestrian streets enables buildings to form shaded breezeways that channel winds and discharge heat from the urban core. 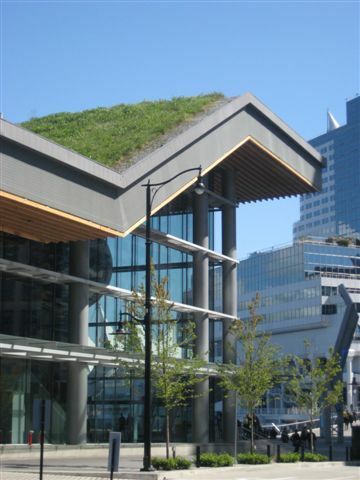 Green roofs, living walls and open spaces between buildings, such as parks or squares, expand opportunities for planted surfaces to capture and retain rainwater so that it can be harvested for human use or be allowed to percolate into soils to recharge rivers and aquifers. The amalgamated approach of addressing sustainable built environments where buildings and their related infrastructure are addressed as a holistic system integrated with the natural surroundings and their related energy and material flows is reflected in practices of permaculture, bioregionalism, and regenerative development. More recently this is being captured in approaches to developing EcoDistricts, and many of the original green building rating systems such as LEED and BREEAM and Living Building also address neighbourhood and city scale development as well. Green building councils have been set up in many countries to advance the adoption of green building practices (World Green Building Council 2016). While the focus tends to be on new construction, increasingly attention is being given to the renovation of existing buildings. Maximizing the life of existing buildings can reduce demand for new materials, thereby supporting the Ecocity Standard of Responsible Use of Materials. Buildings also play an important role in the Clean Air standard, affecting both indoor air quality and atmospheric greenhouse gas emissions if their heating and electricity depend on fossil fuels. Therefore, an important emphasis is given to using non-toxic materials in buildings to avoid off-gassing of fumes that could compromise occupant health and well-being. Emphasis is also given to energy efficiency. This can be achieved through insulation to maximize conservation in the use of energy, both for heating and cooling purposes. Attention is also given to design of the building to take advantage of opportunities to utilize renewable energy such as sunlight and heat generated from the earth (referred to as geo-thermal or geo-exchange). This helps support the Ecocity Standard of Renewable Energy. 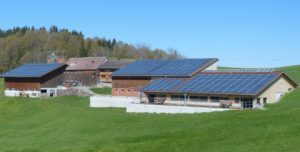 The use of solar technology as one of few sources of renewable energy. Thinking about buildings over their entire life cycle starts with where the building is located and the impact of sourcing materials through the construction, operation and deconstruction of buildings. Green buildings that support access by proximity and responsible use of materials and renewable energy as well as clean air and clean water represent an important part of environmental and social stewardship which is essential to building cities in balance with nature. 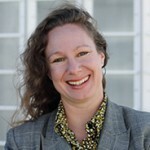 International Living Future Institute. 2016. Living Building Challenge. Available online: https://living-future.org/lbc/ (Accessed June 18, 2017). World Green Building Council 2016. http://www.worldgbc.org/our-green-building-councils (Accessed on June 18, 2017).